Kim Kardashian To Launch A Baby Clothing Line? There is one thing to be said about the Kardashian clan, it is that they never miss the chance to take advantage of an opportunity. 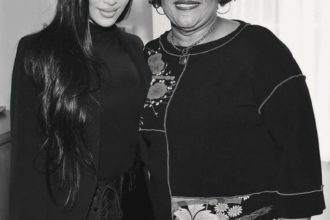 Kim Kardashian and Ms. Alice Marie Johnson at Thanksgiving.